The Importance of Psycho-education for our Mental Health. Panic attacks have presented themselves in the therapeutic space in my role as a Therapist. The first component of dealing with Panic is to engage in some Psycho-education. Essentially, this is describing what happens in a panic attack, which we looked at in our last article. So why is Psycho-education so important? Education and reassurance are paramount in any behavioral treatment. Informing the client of what actually happens in a panic attack is very useful. When an explanation is given as to why a person’s panic is occurring, there is a reduction in the level of panic. What is not understood within the mind can lead to fear of the unknown in a person. Psycho-education allows us to correct misinformation about panic attacks and to acknowledge the truth and objective nature of panic. This can alleviate the stress associated with the changeable nature of Panic. Professor David Barlow of the centre for Anxiety and related Disorders at Boston University outlines that “awareness makes attacks seem less inexplicable and mysterious because they learn to foresee the triggers and can act accordingly to head them off” (Tubridy, 2007). One cannot change something if they are not aware of it. The first step is to recognise the symptoms. How Therapy can help with Panic Attacks; Panic Within The Therapeutic Space. The reason for seeking therapy in relation to panic is to help find a solution for it or to manage it in a more optimum way. Psychotherapy is a union of the word psyche which means soul and therapeia means attendance, therefore attendance of the soul. This is why it is apt that individuals seek Counselling and Psychotherapy as an intervention. 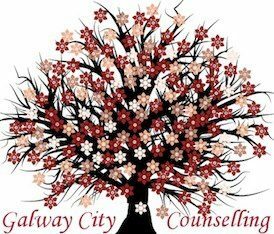 Psychotherapy is the realm that attendance can take place; “Psychotherapy attempts to clarify how the deepest aspects of your psyche speak through your distress, announcing itself through your desires, emotions and behaviours (Tubridy, 2007,). Panic is communicating something to you. It is a manifestation of something which has not been dealt with in our unconscious mind. What is the behaviour communicating? What is the real nature of distress? Ironically Panic serves a function in regards it prevents a flooding of emotions that may lead to over whelm. In relation to anxiety and panic, an individual may be conditioned to respond and look at their distress in a certain way. As alluded to previously, perception can be altered. In Psychotherapy, beliefs and perceptions can be explored and worked through. The therapeutic space with the presence of the core conditions of unconditional positive regard, empathy and congruence can foster a safe environment and container for the client. With breathing techniques, (Hyperventilation is estimated to be a factor in 60% to 70% of panic attacks), the panic attack can be tempered, and therapy can lead to its elimination. Panic attacks can be treated by using Cognitive behaviour therapy (C.B.T) or by Psychodynamic therapy. “We should not try to ‘get rid’ of a neurosis, but rather to experience what it means, what it has to teach us, what its purpose is…otherwise we miss the opportunity of getting to know ourselves as we really are. We do not cure it, it cures us”. (Jung, 1070).